The Bullet Journal method aims to help us become mindful about how we spend our two most valuable resources in life: our time and our energy. 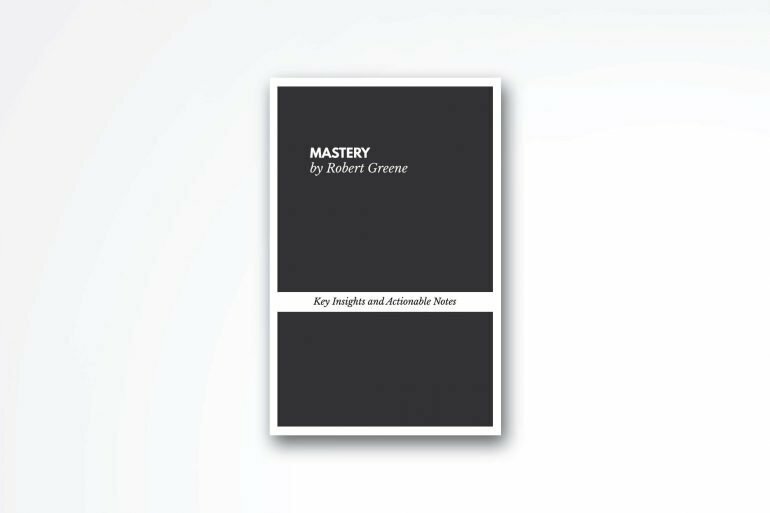 Basically, the method presented in this books wants to help you accomplish more by doing less. All of this by writing down what’s essential for you and executing on this short list. It’s a how-to guide for using this flexible framework (bullet journaling) to organize your life. Mainly, Ryder Carroll, the author, wants to help us organize our lives by tracking the essential things happening around us. The method presented in this book, called the Bullet Journal method, is basically journaling on steroids. A profound way to sort your ideas and arrange your life. It’s more of a diary, it’s a system for tracking what’s happening in your life so you can find what’s essential on focus only on doing it. Note: Looking for a shorter read? Don’t worry. 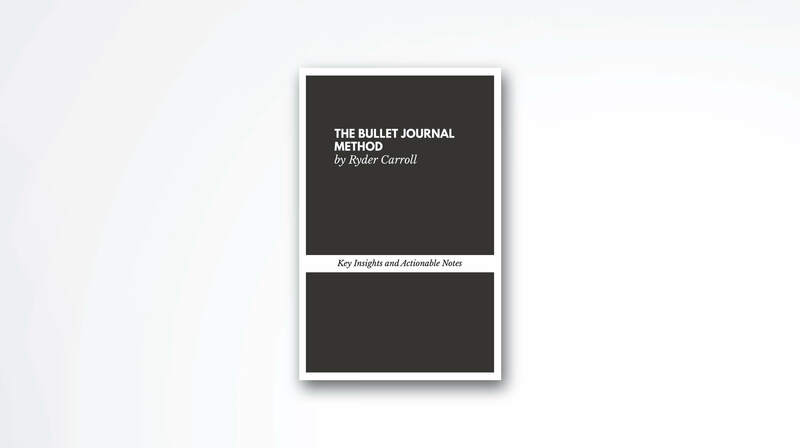 Get access to the heavily curated summary of The Bullet Journal Method by Ryder Carroll: LINK. Studies show that we have around 70,000 thoughts per day. If we put the amount of thoughts on paper we’ll have enough information to produce a book every single day. And that’s a lot of content. However, unlike books, our thoughts are scattered around the perimeter. Sometimes dull. Other times not so unique. A lot of times struggling to find the real meaning. But there is a way to find clarity in this chaos of thoughts. Writing things down, as the author explains, is a way to take control of your mind. Give him context. Stear the wheel into the desired direction. You can force your mind to think towards a specific direction and get into more details. We think about way too many things. Most of them don’t need our attention. However, only when you write everything down you’ll understand what’s important and what you can put in the dumpster. In a lot of occasions, organization can become a cleverly disguised form of distraction. You write stuff down in your 5-year planner and you think that you’re making a difference and working towards your goals but in reality, you’re just writing stuff on a piece of paper. You’re not actually working on achieving your dreams while you’re writing them down, you’re just writing them. Nothing more. The whole Bullet Journal sequence is designed to waste you as little as time as possible. The author of the method is well aware that planning, planners, and notebooks can waste a bunch of our time on this planet. His approach is minimal and focused on results, not to mindlessly write things down for the heck of it. You can spend hours crafting the perfect plan, the ultimate to-do list. To discard draft after draft till you’ve got the lines perfectly aligned. But that’s not what’s important. The essential thing is way different. It’s not planning, it’s doing. Migration: This process involves filtering out tasks that are obsolete or no longer relevant. Since you’re filling your future log in advance, there is surely going to be a task, or something else, that’s not worth doing after a few months. This simple action helps you to stay on track and not waste time on duties that don’t need to be attended. We take the needed time to organize our closets, right? Well, why not do it for your thoughts and ambitions also? The Mental Inventory it’s a simple technique that will remove the mist from your desires and reveal on what type of tasks you’re wasting your time. After completing the exercise, there is a high chance that there will be a lot of useless responsibilities draining valuable mental and emotional energy from you. In the last column, list the things you want to be working on. Dig deep and be honest with yourself. You want the real answers. Yours will surely be different. The main idea of the list you’ve just created is to give you a clear picture of how you’re currently investing your time and energy. Of course, also give you a direction. Obviously, you should strive to do more of the things located in “want to be working on” category. If some tasks seem boring to you, or they are hard to be achieved, but they have to be done, put them first on your to-do list. This type of task-organization is crucial for reaching faster results. Naturally, we get exhausted during our days. Our attention span drains throughout the hours we’re awake. Obviously, putting exercising as the last task to be performed before going to bed it’s a bad decision. You’ll be tired and you won’t put a lot of reps, that’s why it should be done sooner. The other benefit of doing-the-hard-thing-first mindset is that you’re working your way towards the things that interest you the most. This way, it’s much easier to maintain focus and motivation throughout the day when you have something to look forward to. So, no matter what type of tasks await you, put the hardest, the most unpleasant task that needs to be done today, as soon as possible. Call your boss, write that article, record that video, write that email, whatever it is, do it before doing anything else. Sprints and Tasks: A goal can be composed of a lot of things. To make things simple, and keep the momentum going, it’s best to break them down into smaller self-contained Sprints and Tasks. Losing weight can be a bold goal, especially if you’ve struggled with this for years. However, simply stating that you want to “lose weight” doesn’t mean anything in particular. There are other things, smaller things that need to be performed, daily, if you want to achieve your goal. For instance: What type of food you can stop eating? When you’re going to exercise? What type of thing you’ll stop doing in favor of working out? The 5, 4, 3, 2, 1 Exercise: The 5, 4, 3, 2, 1 exercise is designed to give us context to our goals. To put them in a timeline. Use a sheet and give it a name: “5, 4, 3, 2, 1”. Divide the spread into five rows. The top cell will store the goals you want to accomplish in 5 years; The next will be for what needs to be achieved in 4 months; In the next cell add goals for the next 3 weeks; The following one is for the tasks that have to be done by 2 days; The last cells is for the goals you intend to accomplish in the next 1 hour. You can use this method for whatever tasks or projects you prefer. Act: Act on what you’ve learned. If the change didn’t work, go through the cycle again with a different plan. If you were successful, use what you’ve learned to plan new improvements. Rinse and repeat. The Bullet Journal method works for me because it has low expectations. The focus of the system is to give you more time doing what you want to be doing. Rather than spending time writing pointless things on a notebook costing $30. Even though you can go wild and do write every day, describe every tiny detail of your boring day, the main idea is to keep it short, simple and aimed to help you track the past, order the present, and design the future. The book and the system are definitely worth further investigating. The following video will give you all the essentials to start: LINK. I’ve read something today: Book Summary of The Bullet Journal Method by Ryder Carroll. What did you do online?